So, last year I switched over my website, where I sold earrings, hats, and scarves, to this blog. I really wanted to focus on patterns and writing, so that’s why I made the switch. I thought it went pretty smoothly, with everything making it over. Well, I was wrong! 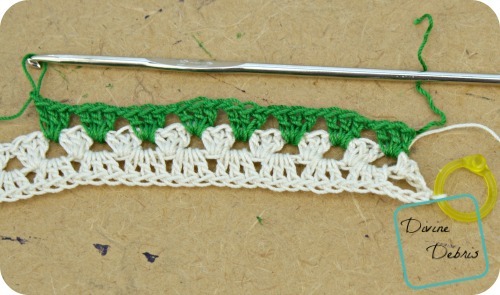 A couple of weeks ago I got a message letting me know that the Carly Headband link from Ravelry was dead. It didn’t go anywhere on the blog. And, when I looked around and checked the blog myself, I realized she was right! It was gone! I have no idea where it when either. 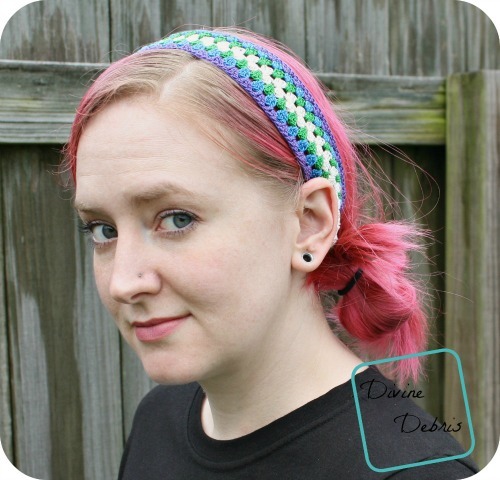 So, when I got the chance, I worked backward from the finished version I had so that I could make a whole new blog post on the Carly headband, and here it is! This pattern is worked in the round, with a slip st into the first st following the last. Each new row is began in the same end so you can keep your seam in one spot. 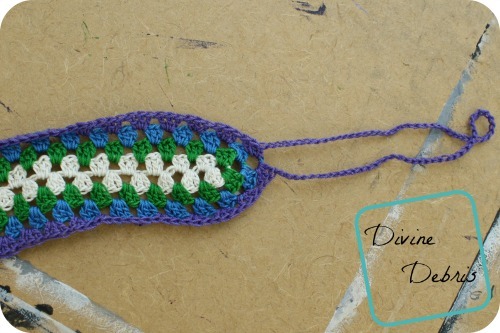 If you want this pattern to be larger, just add multiples of 3 to the beginning ch row (row 1). 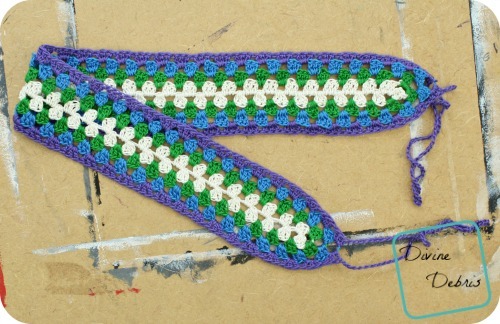 If you’d like your headband to be wider, just repeat row 3 (with more repeats than written here) until you’re happy with the size, then move onto row 4 (with more repeats than written here). You may need to adjust the ties if you make it wider, as it will make it longer too. The ch-70 spaces on row 4 are your ties. 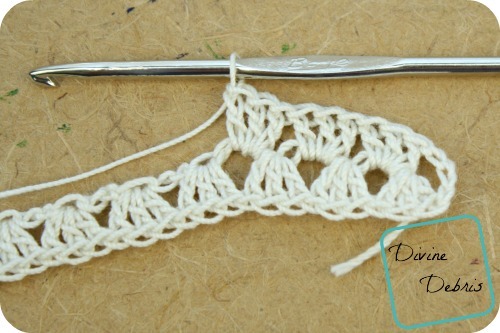 You’re going to have to know how to work in between stitches for this pattern. Fasten off with this color. Fasten off with this color, weave in all your ends. Note: The ch-70 spaces on row 4 are your ties. Tada! 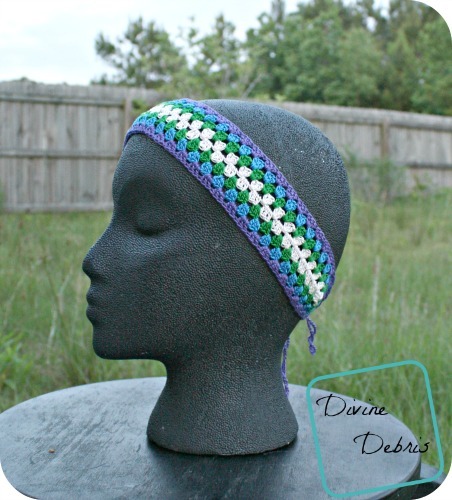 And you’re done with this pretty simple but super cute headband. Again, if you were looking for this pattern in the past, I am sorry it go lost in the move. I hope you get a chance to enjoy this design, though. Love the new colors! Can’t wait to make this for my little girl.